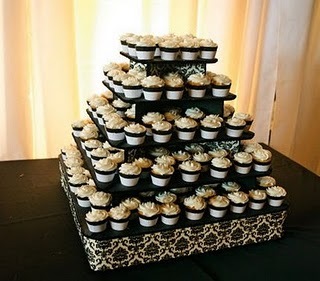 Cupcakes are a great alternative to a huge wedding cake. You don't have to ask your friends or relatives to do the messy job of cutting and serving the cake, it's cheaper and your guests will get a larger serving of cake. 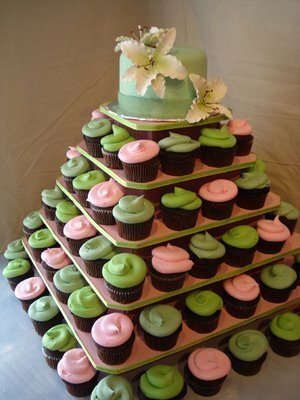 We have lots of ideas but welcome your ideas and are more than happy to customize a cupcake for your special occasion! 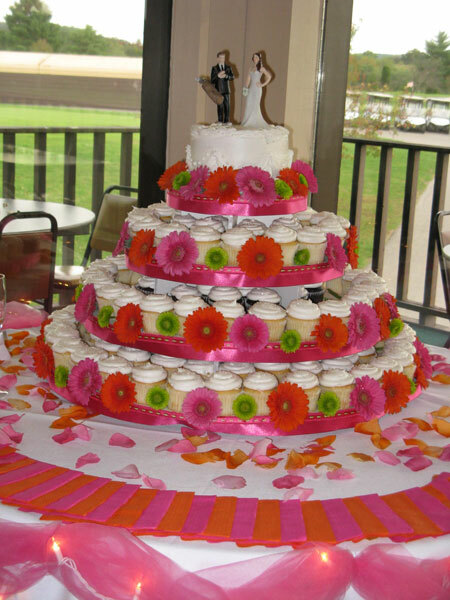 **Be sure to ask about the cupcake discount if we're catering the meal for your event also!! Traditional Cupcake Flavors: $1.25 Ea.